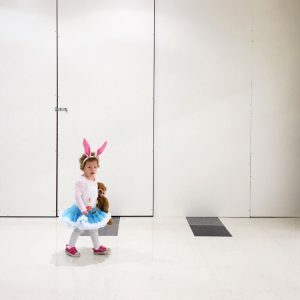 You can enhance your visual story when you are taking candid pictures by using negative space. 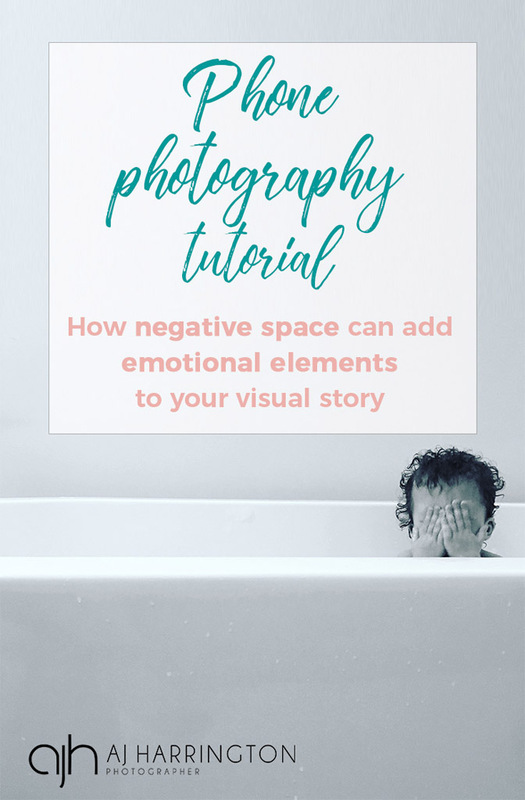 Negative space is a compositional rule that is a simple and effective way to add an emotional element to your images. In one of my first posts, I discussed how you can tell a story with your images. One of my catchphrases is “give your subject something to do.” But what if you can’t? What if it’s a candid shot and you are capturing a moment? What if you don’t have time to stage a scene? 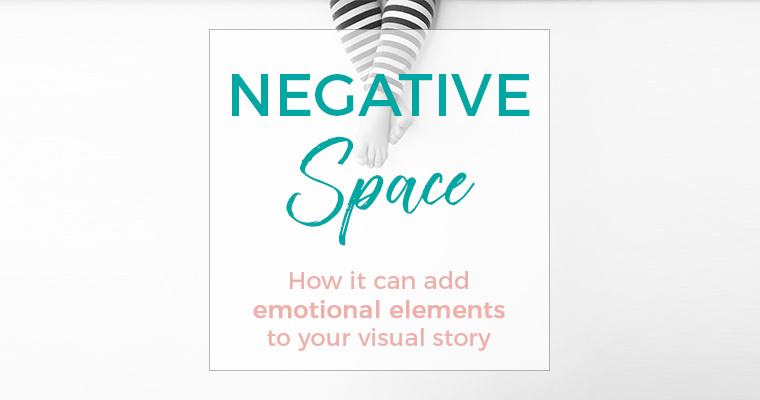 You can use your composition to add storytelling elements by using negative space. Negative space is having more “nothing than something” in the frame and it is a powerful way to draw attention to your subject. It can add storytelling elements like accentuating size, focusing on details or giving extra information like weather or time of day. All of these things go towards creating an emotion or describing a lifestyle that your viewer connects with. And that’s what we want from them. We want them to connect to the image, we want to invoke a reaction in them. By doing that we stay in their minds a little longer and they are more likely to recall us in the future. Including a lot of space around your subject can help accentuate its size. It could be a large object with a great big expanse of the sky to create a dramatic scene, or as in the example below to show the relative sizes of two things. 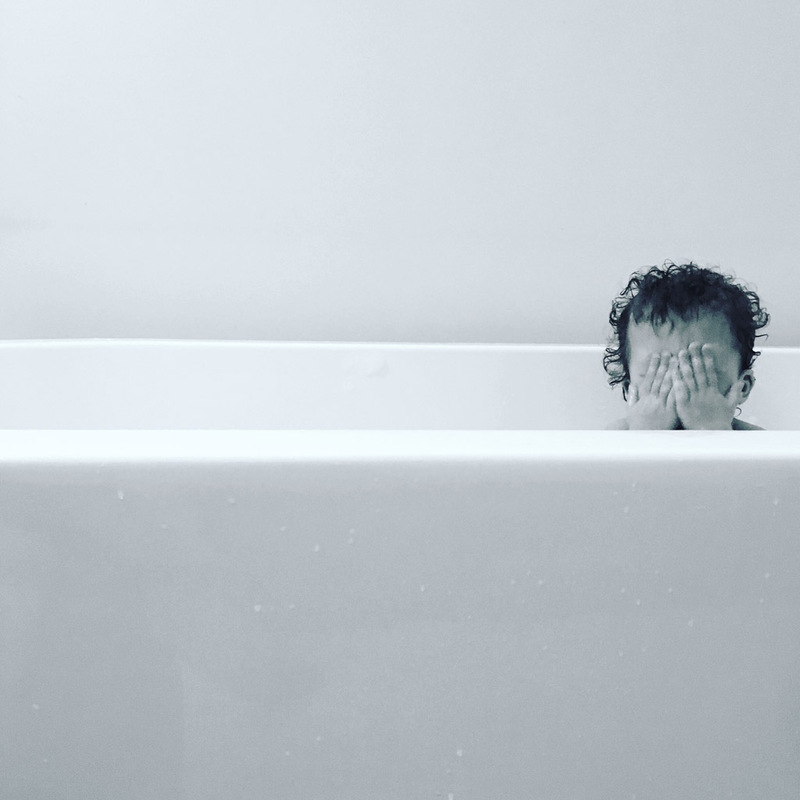 My daughter isn’t just a child in a bath… she’s a little child in a big bath. Having her positioned so close to the edge of the frame also helps with the story of us playing peek-a-boo. This is a great example of experimenting with your angles to get a more engaging composition. Rather than standing above her and snapping a picture of the top of her head, by crouching down and being at the same level as her, I am connecting to the subject in a more emotional way. By including some of the area surrounding your subject in your composition, it can give information about the place, the weather or the time of day. The image below could just be a picture of the pool at our local rec centre. 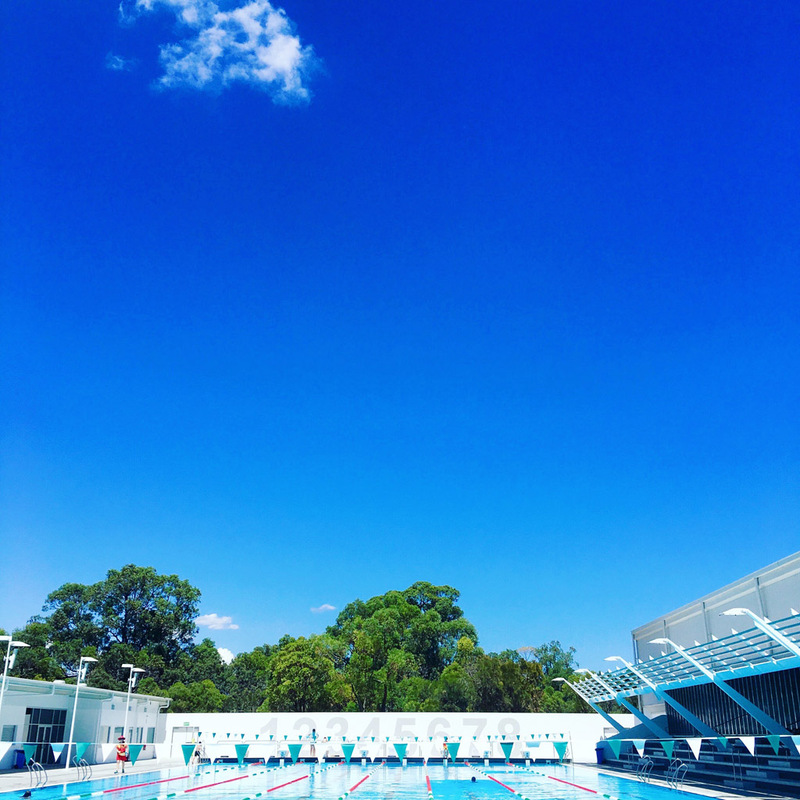 Instead, we know its the outdoor pool, is a beautiful bright clear day. We know its likely to be summer and relatively hot. We have given the viewer more information about our subject—our location and the weather—to create a stronger response in them. The cloud does add to the composition (and it has its own version of negative space) but the image and the story would still work without it. When we use negative space we hold the viewers’ attention just that little bit longer. There is nothing else in the image to distract them and they stay focused on the subject. This is a great way to get them to notice the details. 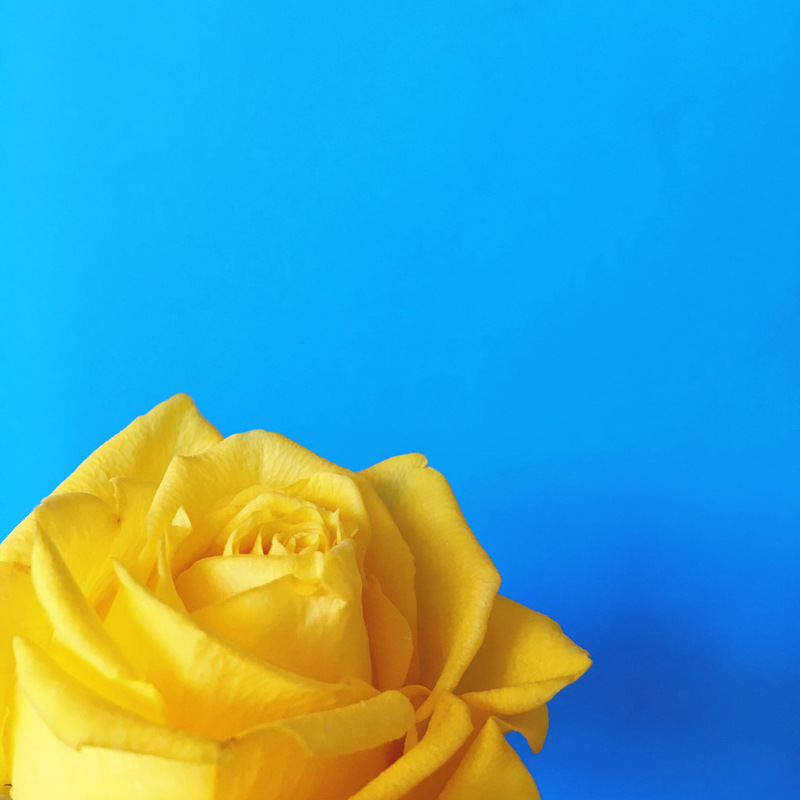 The focus of the image above is not the rose but the delicate details and folds of the petals of the rose. With nothing else in the image that’s exactly what I look at. My eyes roam over the lines, highlights, shadows and the texture of the petals. I study it for longer and therefore I am more likely to remember it in the future. The background of this image is an IKEA toy storage tub. 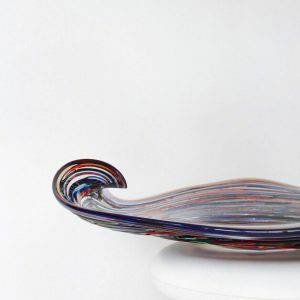 This contrast in colours also helps focus your attention on the details but also draws your eye to the image as a whole. I have blog posts in the making on using colour in your composition and what backgrounds you can use that you probably already have at home! Here’s a couple of other images that use negative space effectively. Let me know in the comments what you think they might be accentuating! All these images have been taken and edited on my phone. You can learn more about phone photography, compositional elements and telling stories by booking a one-on-one tutorial with me. 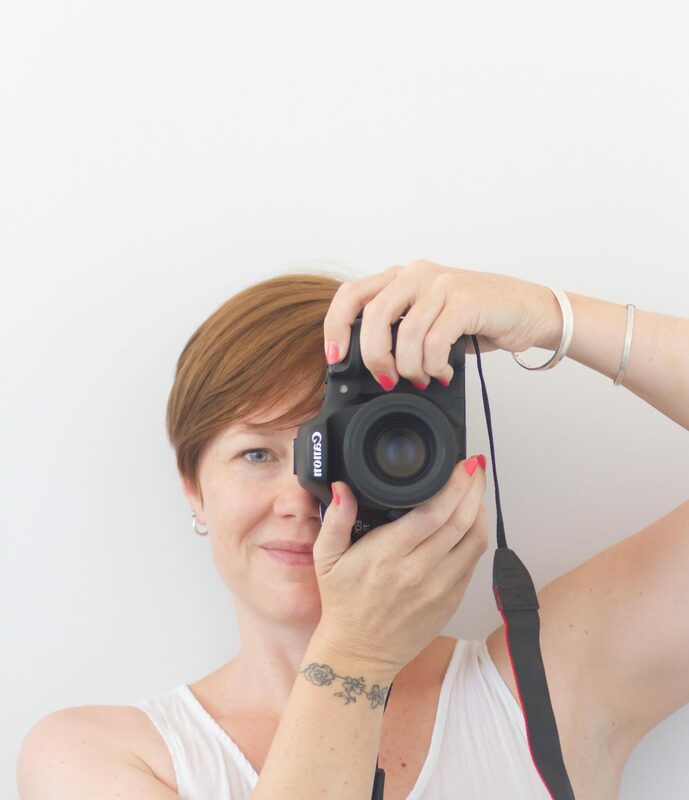 We’ll work out your visual brand, find the best light in your home, find backgrounds that work for you, how to compose your subject and what apps to use to edit your images. Drop me a message to find out more. Thanks Amanda, love your tips. My photography still has a long, long way to go, but these posts are really helpful and well explained. Practice, practice Nina! Even just with your phone. Challenge yourself to take a photo a day and you’ll see improvements in your composition and the way you see light. I promise ☺️ I am so glad you are finding these posts helpful. If there is anything you want help with specifically please let me know!